Northeast Displays & Graphics offers a wide range of banner stand hardware and graphics. These come in many shapes, sizes, and types. 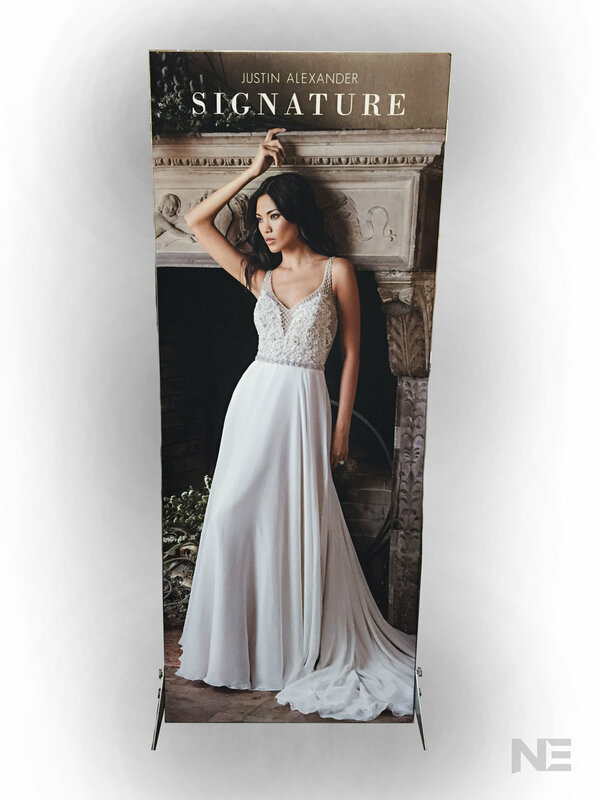 Retractable banner stands are available from 2' to 8' wide and up to 8' tall. We also stock pillowcase frames for double sided fabric graphics, as well as simple weighted bases for rigid foam core and gator foam displays. Let us find the perfect solution to your promotional or trade show needs.